And unfortunately, according to a smattering of complaints on Reddit and the official Samsung forums, it seems that’s exactly what happened to a handful of Samsung phone users, including owners of late model devices such as the Galaxy Note 8 and Galaxy S9. According to user reports, the problem stems from Samsung Messages, the default texting app on Galaxy devices, which (for reasons that haven’t been determined), is erroneously sending pictures stored on the devices to random contacts via SMS. One user on Reddit even claims that instead of sending one pic, Samsung Messages sent out their entire photo gallery to a contact in the middle of the night. Luckily for that person (or maybe not), those pictures were sent to their partner. But for others who may have had pics sent to more sensitive recipients like a business partner or boss, the bug could give other people an unwanted peek into their private life. The scariest part about this bug is that when Samsung Messages bugs out sends pics to other people, it reportedly doesn’t leave any evidence of it doing so, which means people may not know their photos have been released into the wild until it’s too late. 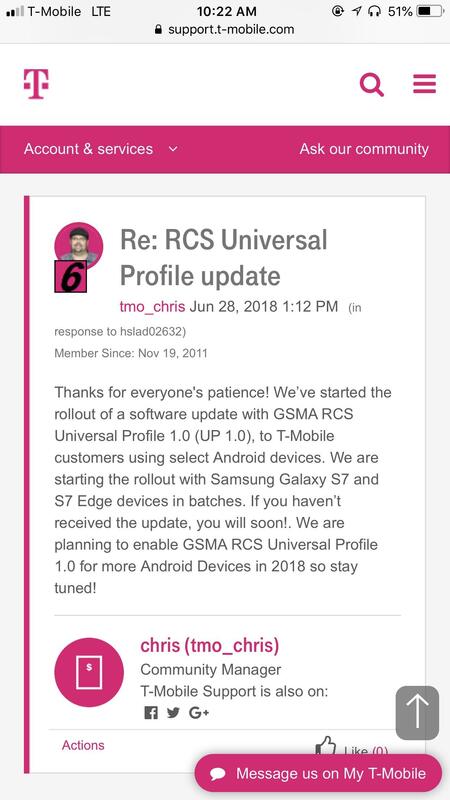 Currently, the prevailing theory as to what’s causing this bug is a weird interaction between Samsung Messages and recent RCS profile updates that have rolled out on some carriers. The goal of RCS (Rich Communication Services) is to enhance the outdated SMS protocol with new features like better media sharing, typing indicators, and read receipts. The issue right now is that it seems something about the way RCS is handled in Samsung Messages is messing all that up. In the meantime, for Samsung owners concerned that their phone might be sending sensitive pics to random contacts, there are currently two main fixes to this. The first is to go into your phone’s app settings and revoke Samsung Messages’ ability to access storage. Until a real solution is released, this will prevent Messages from sending photos or anything else stored on your device, whether you want it to or not. The other option is to switch to a different texting app like Android Messages or Textra, which don’t seem effected by whatever is plaguing Samsung’s texting app (so far). Hopefully, this issue gets resolved quickly, because until it does, there’s no guarantee of privacy for people using Samsung’s default texting app.